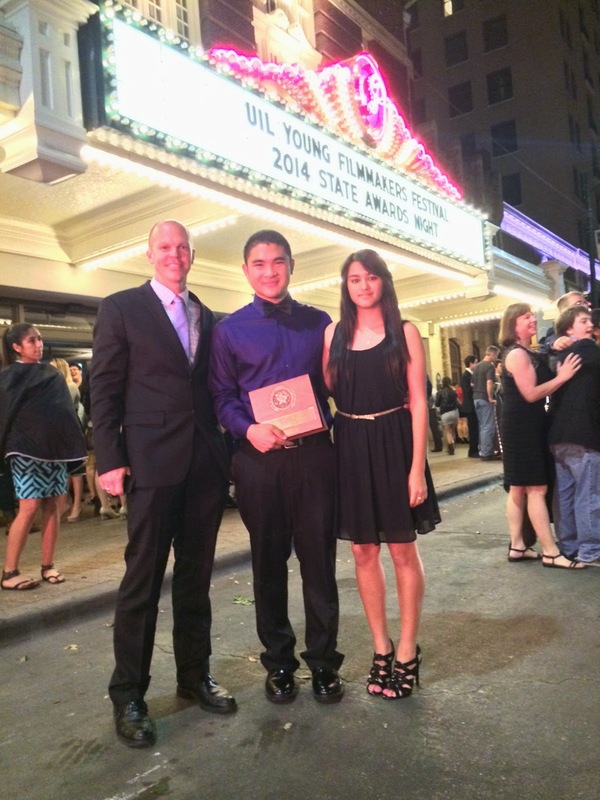 The H Factor: Student Produced Documentary Takes Third in State! Student Produced Documentary Takes Third in State! 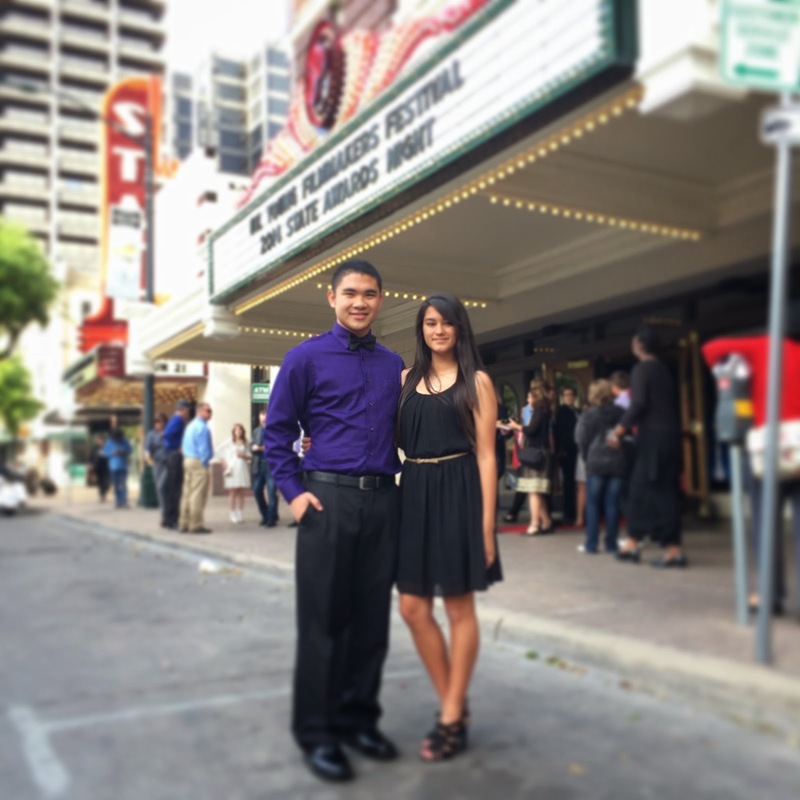 Last night at the Paramount Theater in Austin, Huntsville High School Seniors (and Student Filmmakers) Sandra Rodriguez and Jomar Pueyo were awarded Third Place in focus: the University Scholastic League's Young Filmmakers Festival for their film, "A Queen to Be". This was the glamorous and honorific culmination of a journey that began last fall with our student body nominating and crowning Life Skills student and friend to all, Estafania Martinez, as Huntsville High's 2013 Homecoming Queen. Huntsville High School Principal Beth Burt and Superintendent Dr. Steve Johnson travelled to support our students, as well as their family and teachers Mandy and Drew Stewart. Many students from the Stewarts' classes helped with the taping in the fall, and Sandra and Jomar accepted the award knowing they didn't "do it alone." 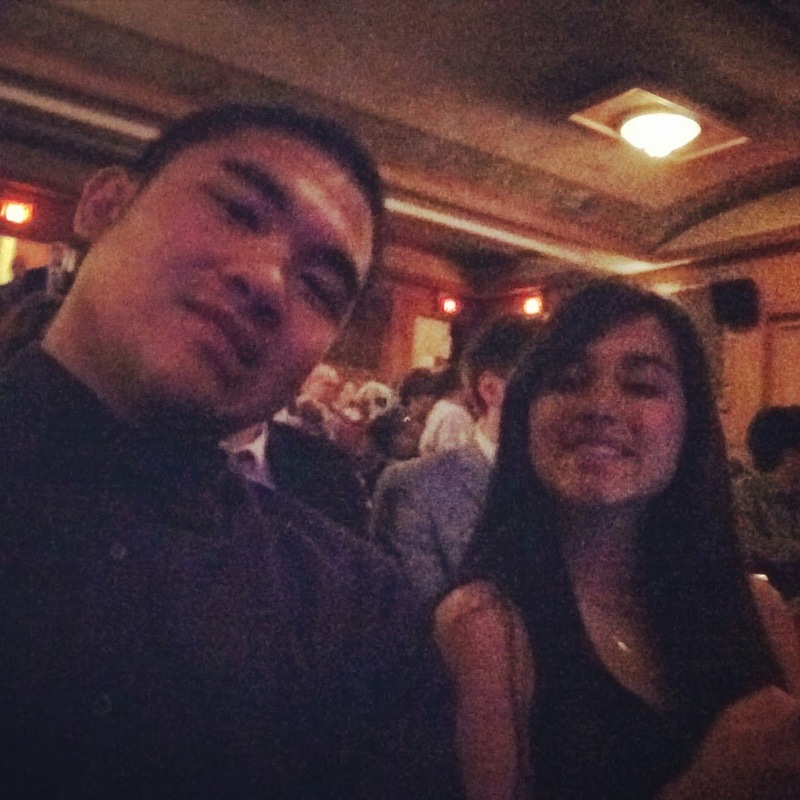 A quick selfie before the show starts! We're especially proud knowing that there were 495 entries in our division. Haven't seen "Queen to Be" yet? Check it out here. Teacher Drew Stewart by their side, award in their hand. It's a good night!! You can find the complete list with links to the films here. Thanks for keeping us updated on HISD activities.